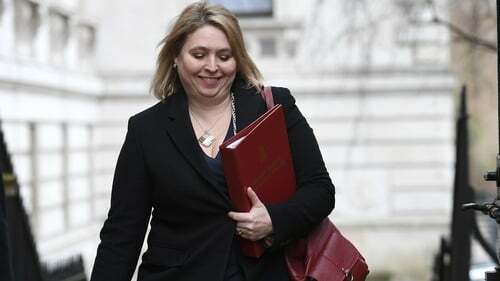 Secretary of State Karen Bradley has announced a £12 billion Westminster spending plan for Northern Ireland in a written statement to the British parliament. It is the second time the British government has imposed a budget for the region's rudderless public services since the devolved institutions collapsed in January 2017. When Mrs Bradley's predecessor James Brokenshire passed a delayed budget last November, he was merely enacting draft spending plans already formulated by devolved ministers before the Stormont executive crashed. This time, the UK government is making its own policy decisions on where to allocate the region's block grant in the coming financial year. Mrs Bradley said: "During the course of the past 13 months, in the absence of an Executive and Assembly in Northern Ireland, the UK government has worked tirelessly to facilitate the restoration of devolved government. "It had been my firm hope that a new Executive would be in place to set a budget. "That will now not be possible in time for plans to be put in place for the forthcoming financial year. "Yet there are acute pressures across public services to be addressed in 2018/19. "And clarity is required now to enable planning to proceed for the year ahead. It is now imperative, therefore, that the UK government provides clarity and certainty around Northern Ireland finances for 2018/19." Mrs Bradley's budget delivers real term increases in health and education spending and cash term increases, below the rate of inflation, for justice, infrastructure and agriculture. "Having called for a budget to be passed at Westminster, we welcome the Secretary of State's necessary intervention to give departments certainty and fund public services for the next financial year," she said. "Departments living hand-to-mouth is no way to run public services. "This budget contains £410 million secured by the DUP as part of our confidence and supply agreement. "Cynics doubted the C&S money would ever be delivered but today it has helped achieve an improved budget compared to the one that many feared. "Our efforts will help alleviate pressures in health and education, tackle issues with mental health and deprivation, transform our NHS and build new infrastructure." Sinn Féin vice president Michelle O'Neill said the budget contained only "stop-gap" measures. "This is a disappointing budget which doesn't provide the resources needed for the public services our people need and deserve," she said. "It's not good for householders, for victims, for health, for our economy, our colleges or the homeless. "Seven departments, including those which serve vulnerable communities, housing and arts, face real-terms decreases." Mrs O'Neill also accused the government of failing to release additional money to fund inquests into Troubles related killings. Mrs Bradley said she had engaged intensively with the civil servants in formulating the spending plan and had also discussed the situation with the main Stormont parties.